With pic (L to R): Mick Simson, TDC’s Parking and Community Supervisor; Tom Mosey and Andy Mosey from Holland-on-Sea Motors; Pam Sambridge, TDC’s Cabinet Member for Technical Services; Trevor Mills, TDC’s Horticultural and Transport Services Manager and Jim Morrison, Senior Fleet Manager for SFS with the four new Citroen vehicles. 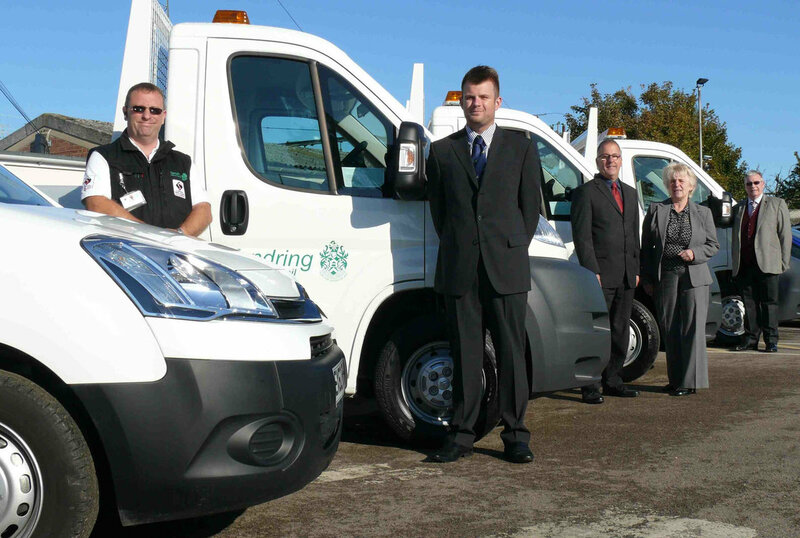 In keeping with the Tendring District Council’s (TDC) promise to purchase locally, contract hire and fleet management company Specialist Fleet Services (SFS) has arranged for the Authority’s new fleet of vehicles to be supplied by local Citroen dealer, Holland-on-Sea Motors, Clacton-on-Sea. Pam Sambridge, TDC’s Cabinet Member for Technical Services, said that every effort is made to deal with local firms wherever possible. “We have promised to try to source goods and services locally where the deal is right and offers value for tax payers’ money,” she said. The vehicles comprise 3 x 3.5 tonne Citroen Relay Tippers; 1x Citroen Berlingo long-wheel based van that has been specially converted for secure cash collection with slam locks and a tracker system; and 1x Ford Ranger 4-wheel drive vehicle. Most of the vehicles will be used for the authority’s Horticultural Services Department to maintain open spaces including seafront gardens, recreation grounds, cemeteries and open spaces around Council housing. One vehicle, the Berlingo van, will be operated by the Council’s Parking and Community Services team. The five-year contract hire agreement includes maintenance, which SFS has agreed for Holland-On-Sea motors to carry out on its behalf. This means that the vehicles will never have to leave the local area, reducing the distance they will need to travel. “We specialise in this type of arrangement for local authorities across the country and it is good for the local dealer,” he said.